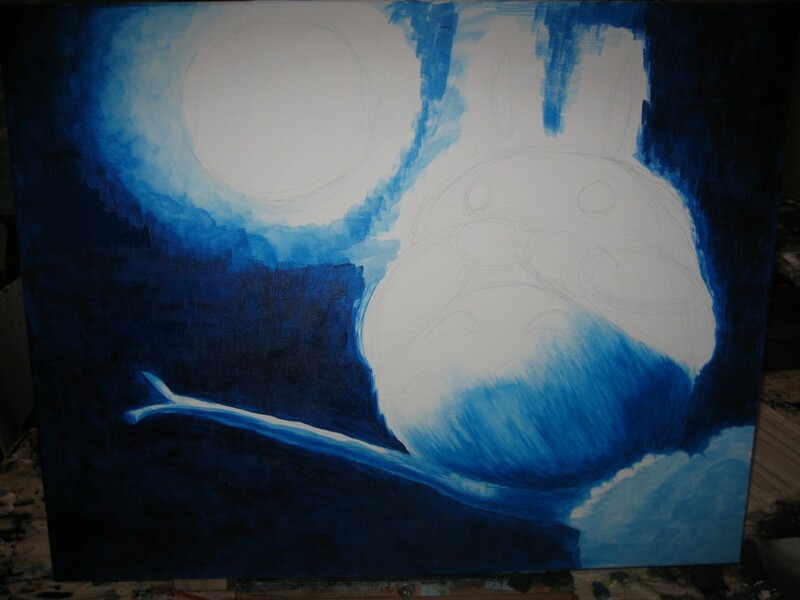 You are here: Home ∼ 2011 ∼ May ∼ 10 ∼ My Painting Totoro! 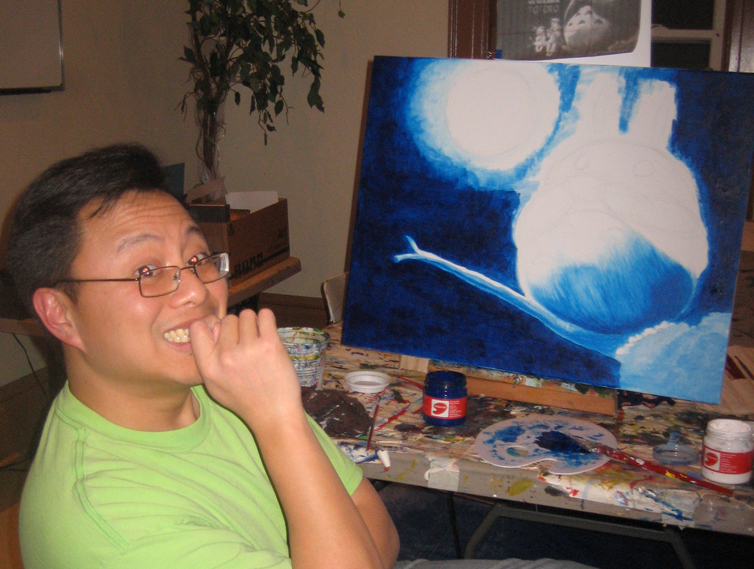 As you may know, Keren and I have been taking an painting class! 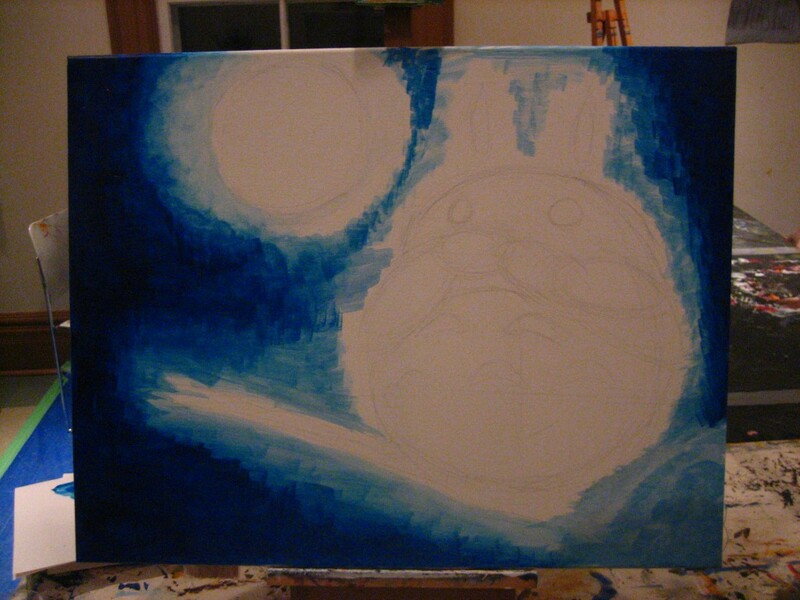 We are learning how to paint with acrylics and it has been an immense amount of fun. One thing I find fascinating is how she and I can be given the same picture, the same colours and yet produce a painting that is unique to us and very indicative of our own personality. Last night, I finished a painting. It took me a long time. 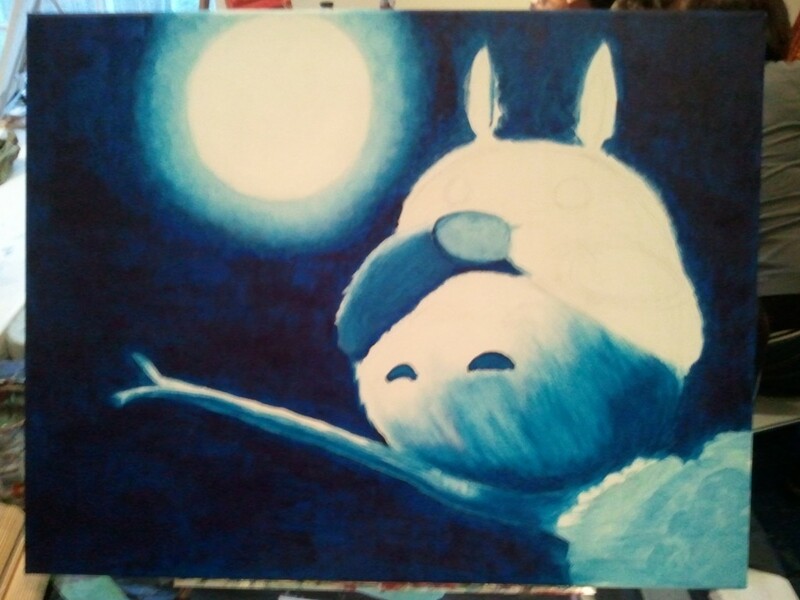 A very long time, I started it in February, when we were learning to do a monochrome painting. 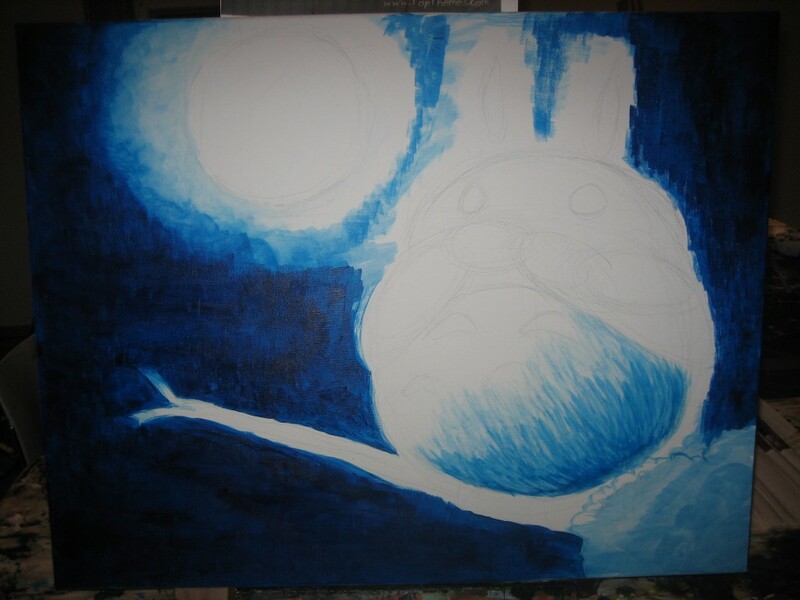 Since then, people finished theirs, and I, diligently worked away on my Totoro. 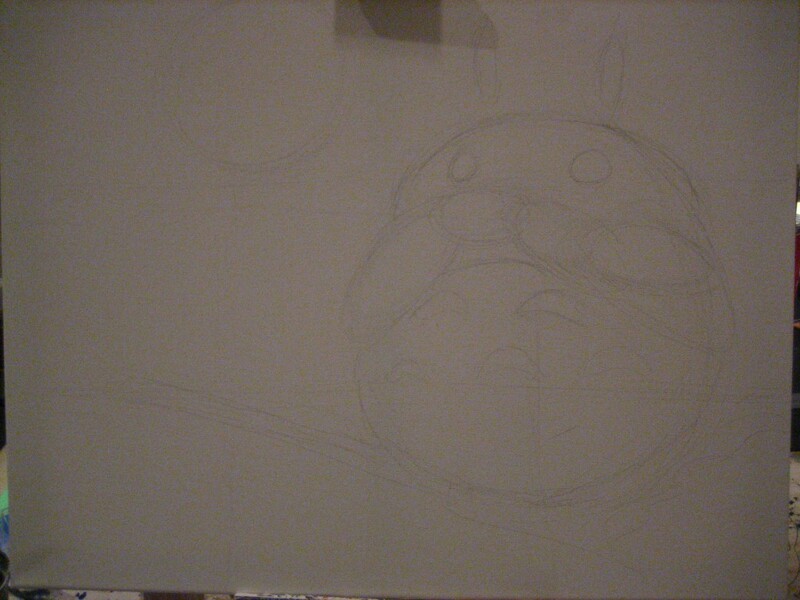 The canvas itself is about 3×4 feet, something like that. 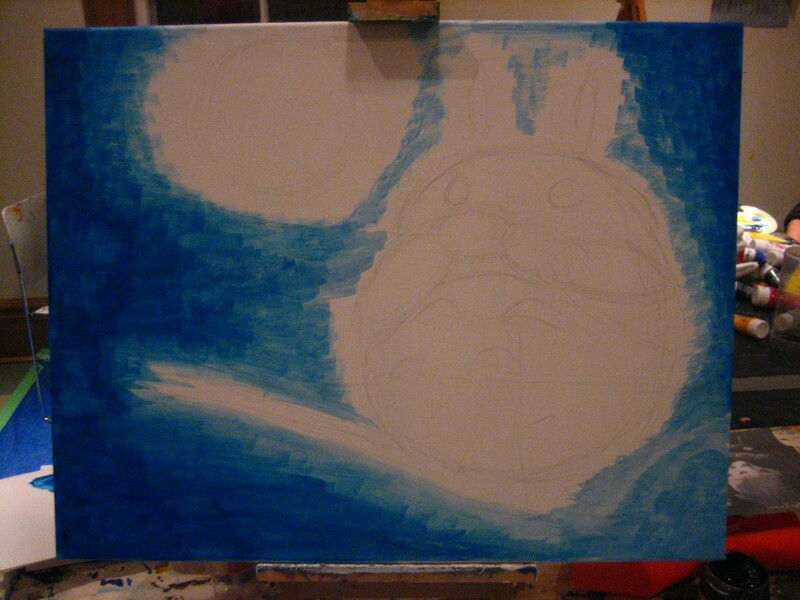 And I wanted a blue colour so my art instructor suggested Phthalo blue. 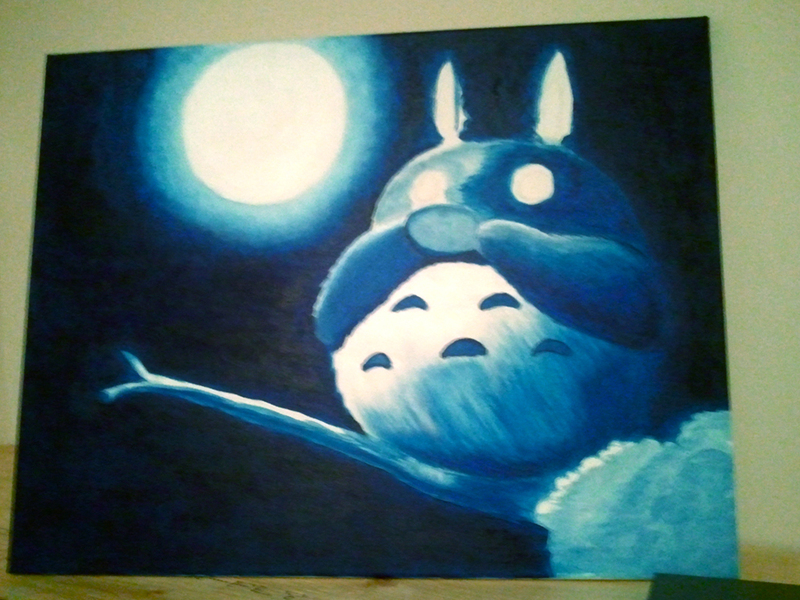 I am quite pleased with my Totoro. Love this!!! 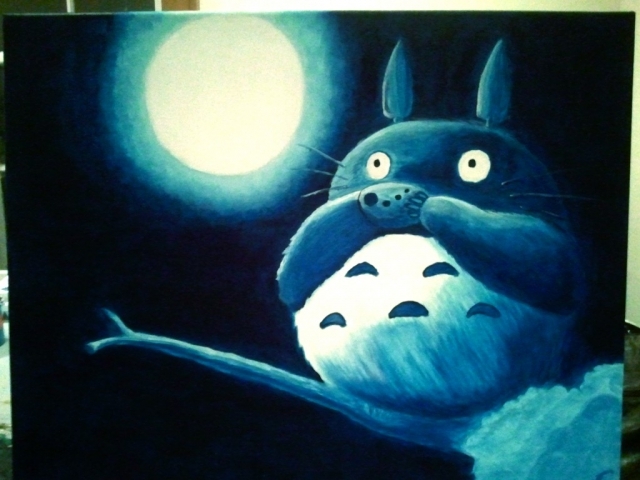 And Totoro is my favourite animated film ever.